BAILEY is a “loveable doofus” who is at the heart of his family — in every way. A purebred poodle, Bailey’s eyes shine with affection for Rosebud’s De Araugo family. “He is big, dumb and friendly. He loves his family,” Amanda De Araugo said. 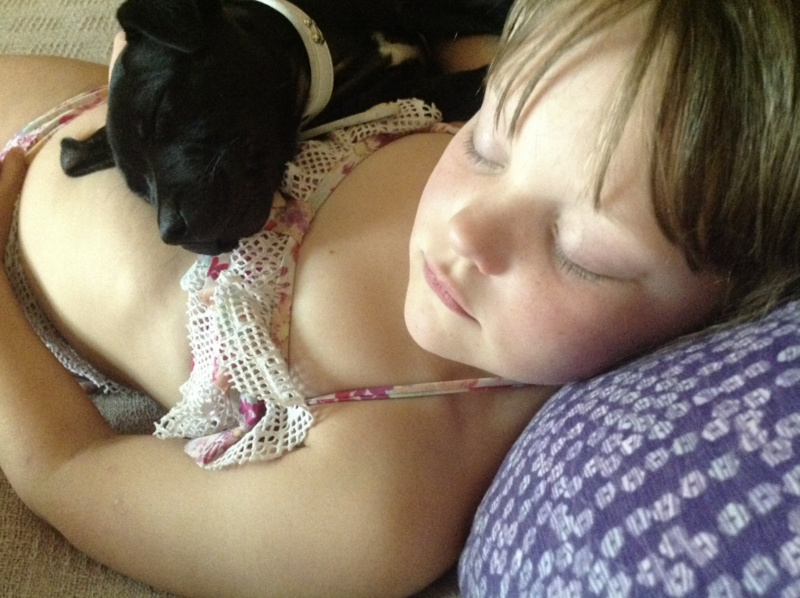 Family members became increasingly concerned after Bailey began ‘crying’ with pain. Initially they thought he was cramping or had even strained ligaments in a knee. But an examination by Dr Ben Porter, from Peninsula Vet Care, later confirmed worst — Bailey’s right back knee was prone to dislocation and he needed major surgery to rectify it. The surgery was estimated at about $2000 — a tough ask for the De Araugos family, who were already going through tough financial times. Dr Porter put the family in contact with the Pet Medical Crisis Fund, which helps disadvantaged pet owners prevent their pets from being unnecessarily euthanised when they cannot afford the cost of veterinary care. Pooches learn to doggy paddle! Fund head Jennifer Hunt said the charity donated $800 while Peninsula Vet Care discounted its fee — leaving the De Araugos family with a more manageable $400 to pay. Ms De Araugo said the family was rapt Bailey had recovered from the surgery and following a period of rehabilitation was back to being his loveable best. The Pet Medical Crisis Fund relies on public donations to continue its work and is run by volunteers. Donations over $2 are tax deductible. MEOW might not be happy about having his leg in plaster but his owners are thanking a charity that helped keep the mischevious moggy in one piece. 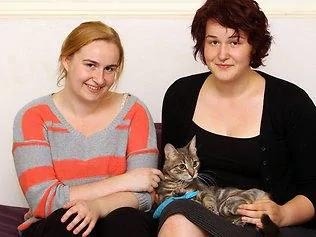 The cat, belonging to Bentleigh East sisters Jessica and Mikaela Wills, came home injured last week. Jessica said Meow’s leg was “not where it was meant to be”. They rushed him to the Pet Emergency and Specialist Centre in Malvern where it was discovered he had suffered a spiral fracture and had torn the kneecap off his femur. And even though the vet had reduced the cost of the operation, it was still more than the two could afford. But the vet made a call to the charity Pet Medical Crisis Fund – set up to help pay vet bills for those who don’t have the money – and they donated $500 towards Meow’s treatment costs. “It meant he could come home to us and we didn’t have to consider euthanizing him or getting his leg amputated,” Jessica said. PMCF relies entirely on donations is running low on funds, with only $9000 in the kitty to service the entire state.